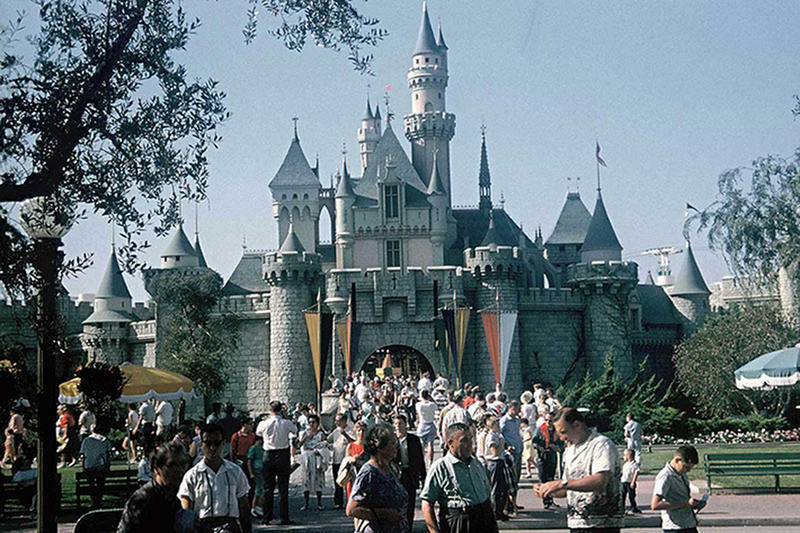 Nearly 30 years after Walt Disney’s Mickey Mouse first debuted, Disneyland opened its doors. 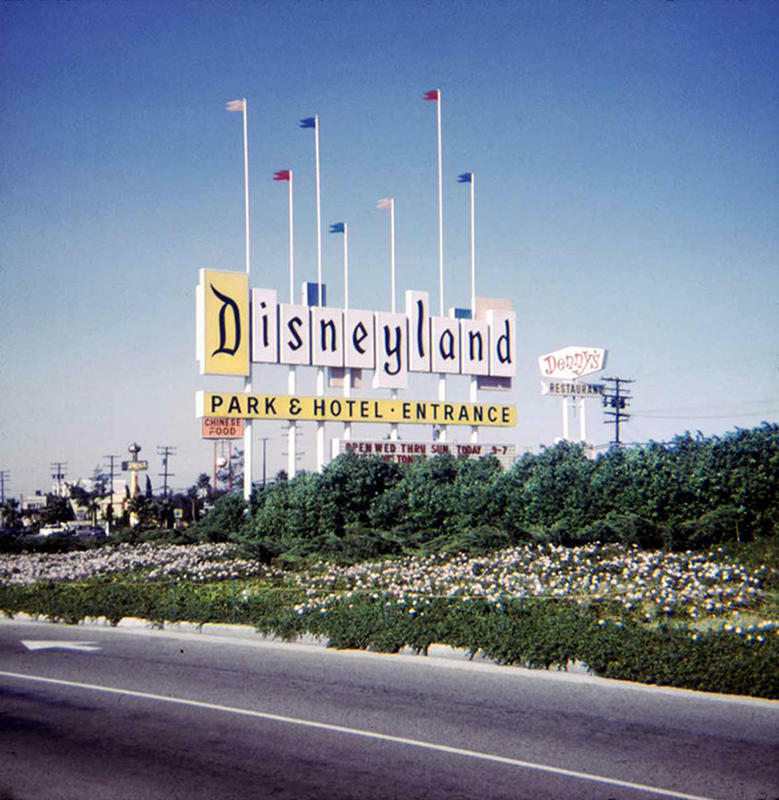 On July 17, 1955, the theme park officially welcomed people to a magical place where they can have fun and let their imagination roam free and run wild. 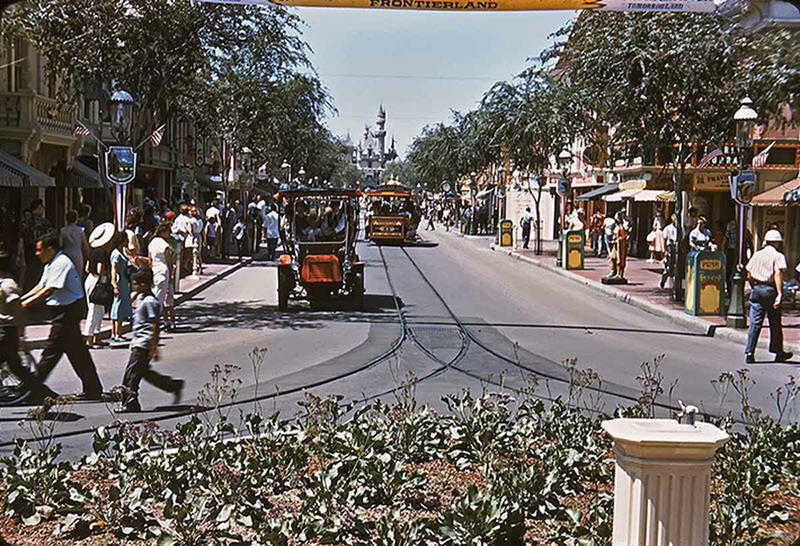 The Disneyland we see today may be far more developed than it was years ago. 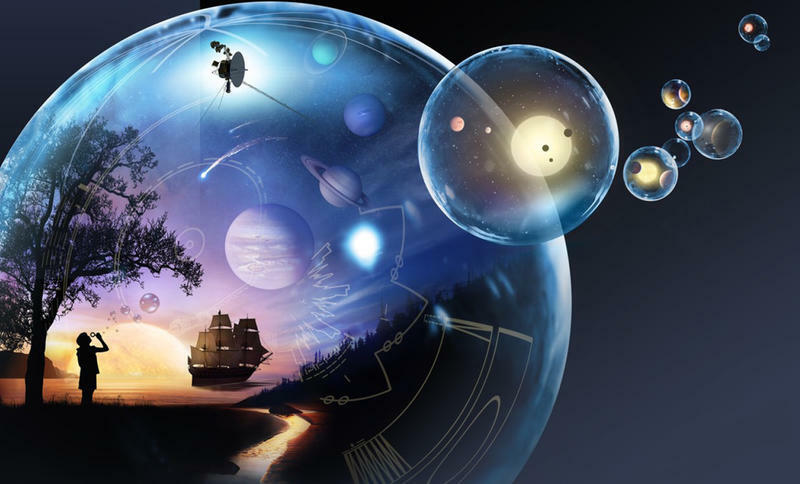 But of course, it was as magical then as it is now. 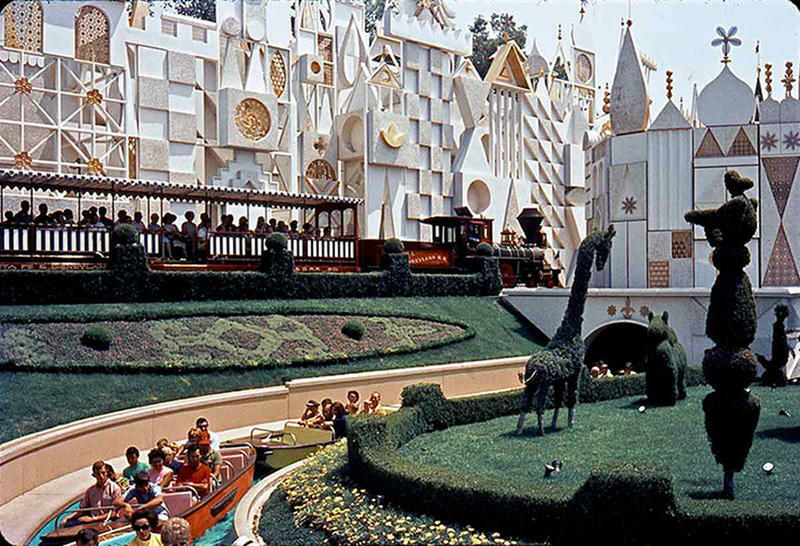 These 25 vintage photographs of "the happiest place on earth" will show you just how magical. 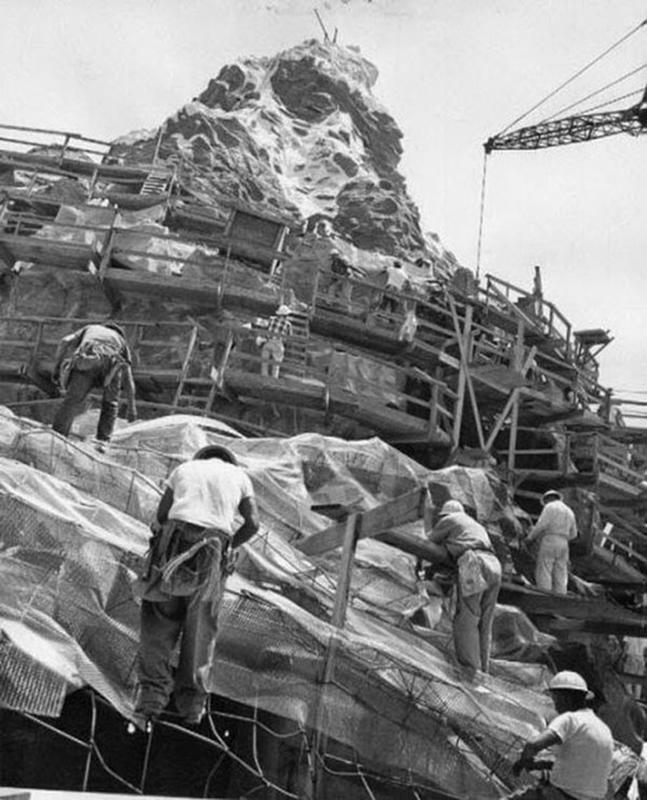 The construction of Disneyland's Matterhorn attraction. 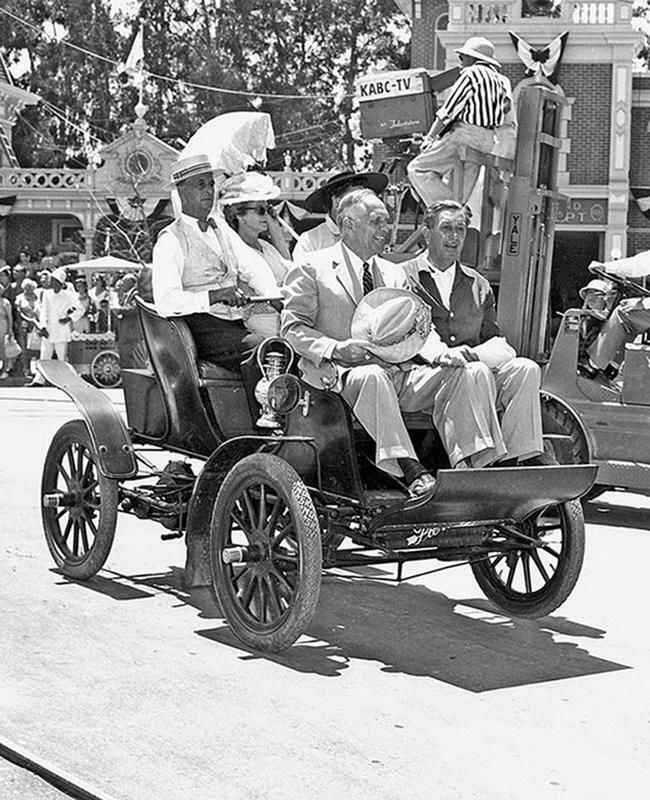 Walt Disney at the Disneyland Opening Ceremony rehearsal, 1955. 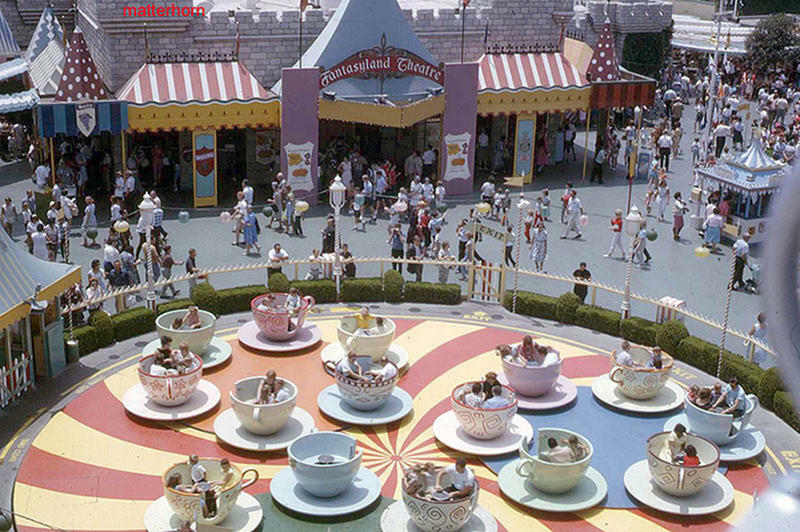 It’s A Small World in its early years. 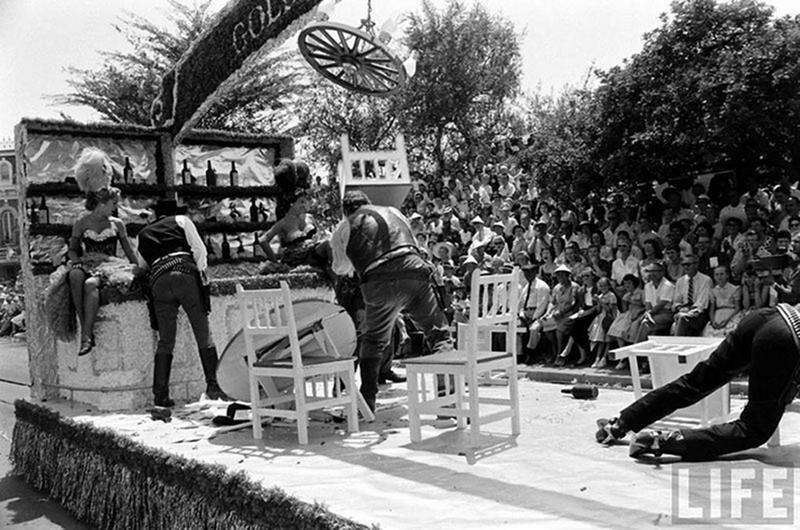 The Nixon family attending the Disneyland parade, 1959. 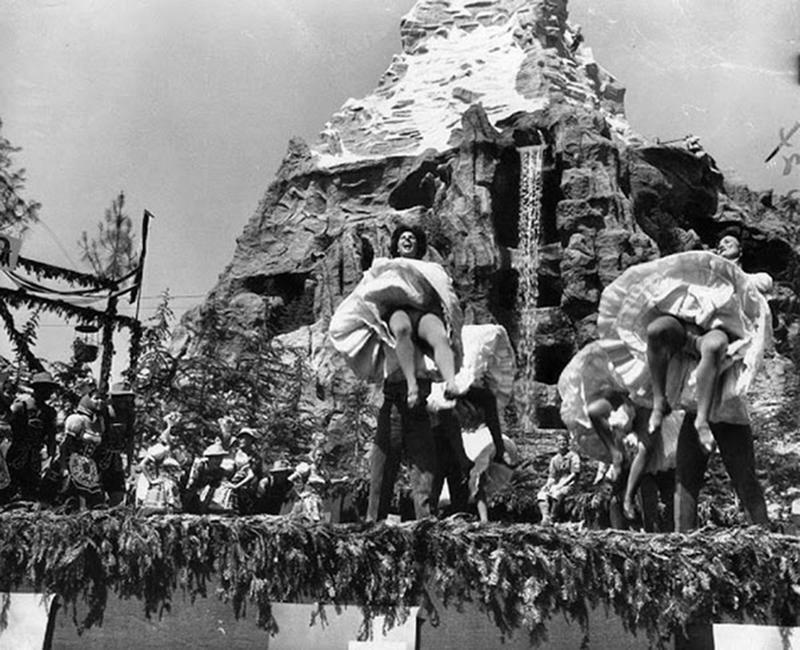 Dancers put on a show in front of the Matterhorn, 1959. 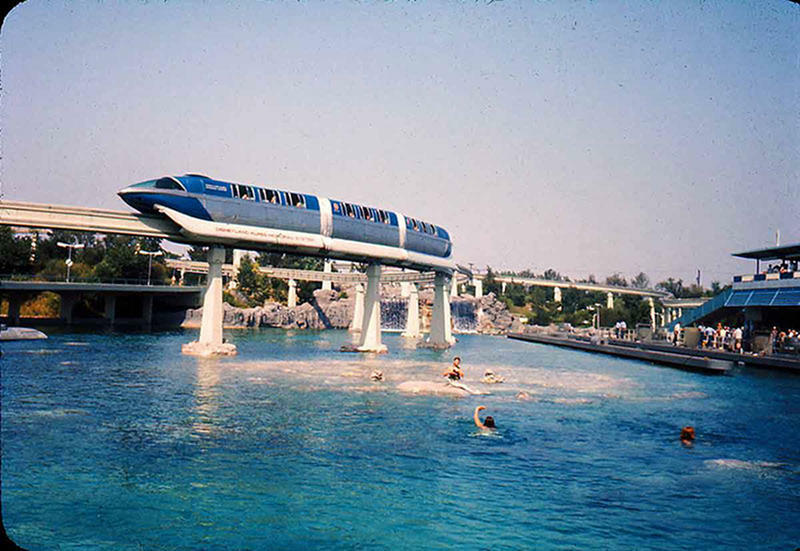 Disneyland’s Monorail soars over the Submarine Lagoon. 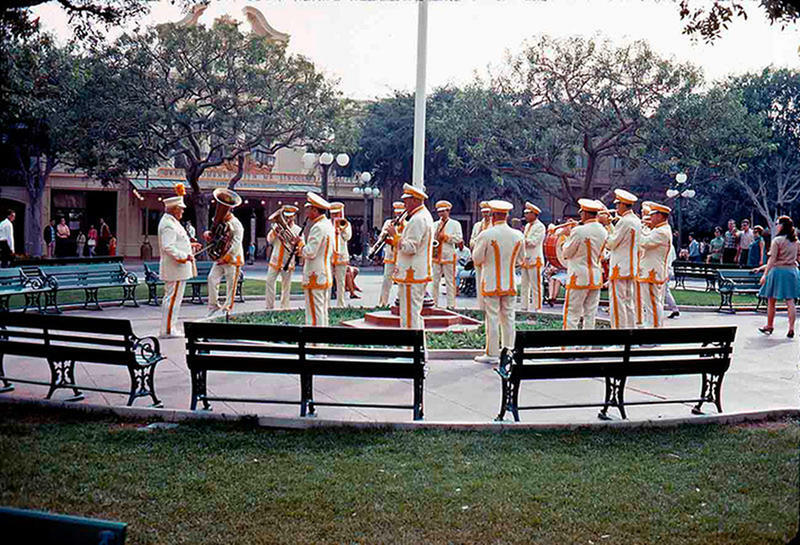 Vesey Walker conducts the Disneyland Band. 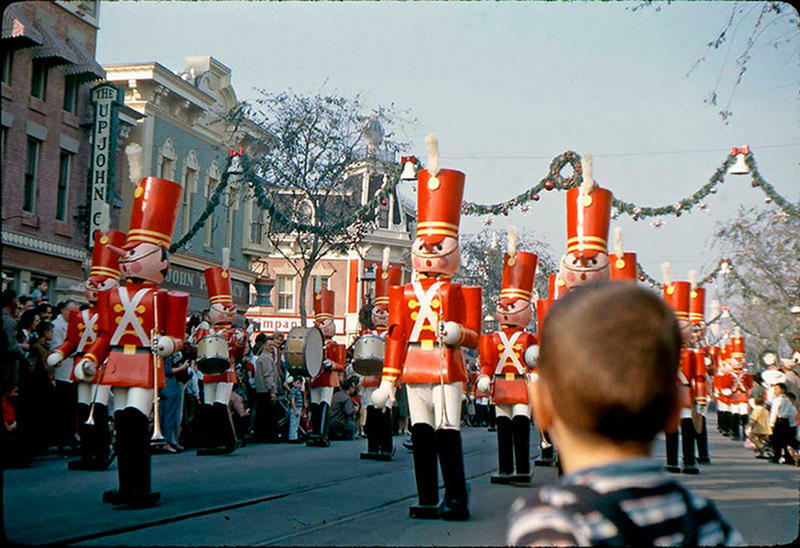 Toy soldiers put on a holiday show, 1961. 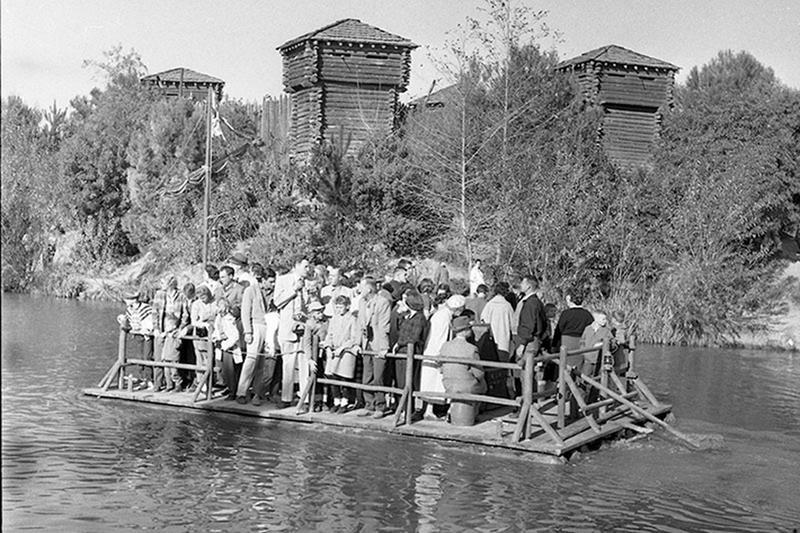 Visitors crowd on the raft to Tom Sawyer Island. 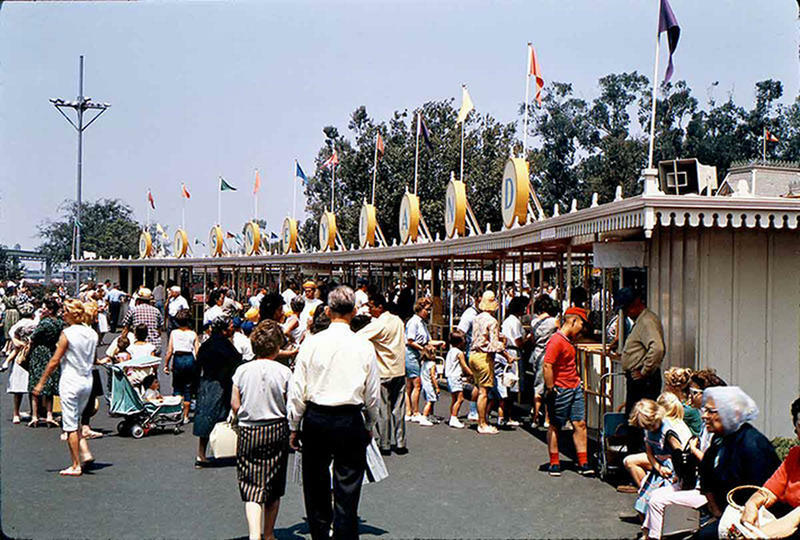 People queue up to enter Disneyland, 1963. 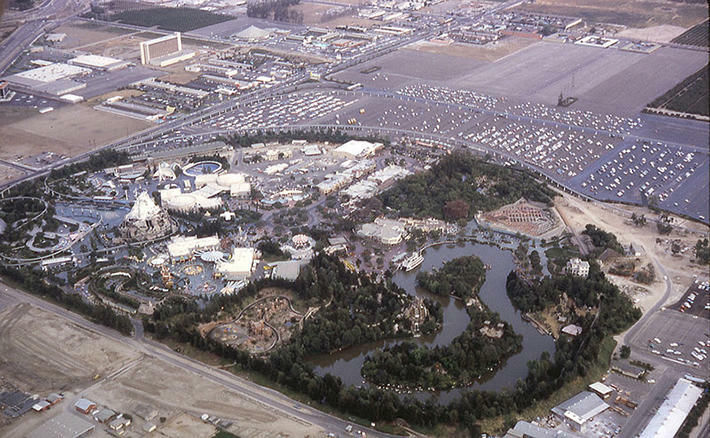 An aerial view of Disneyland Park, 1963. 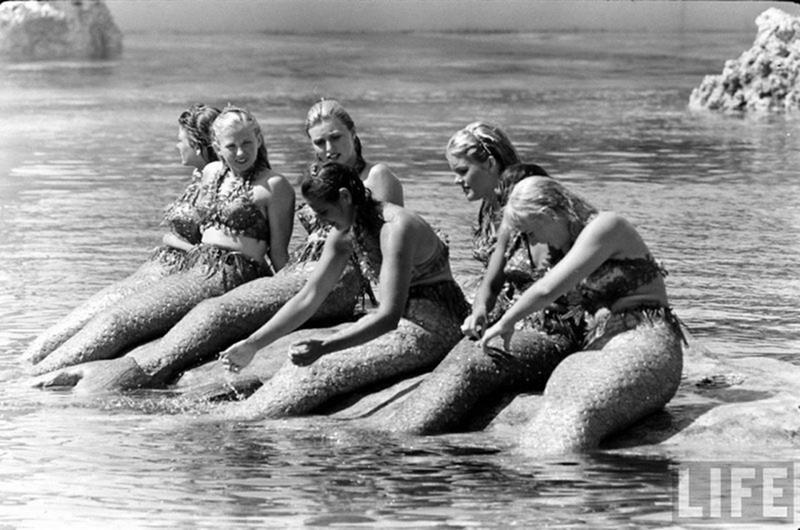 Mermaids were once a fixture at Disneyland’s Submarine Lagoon. 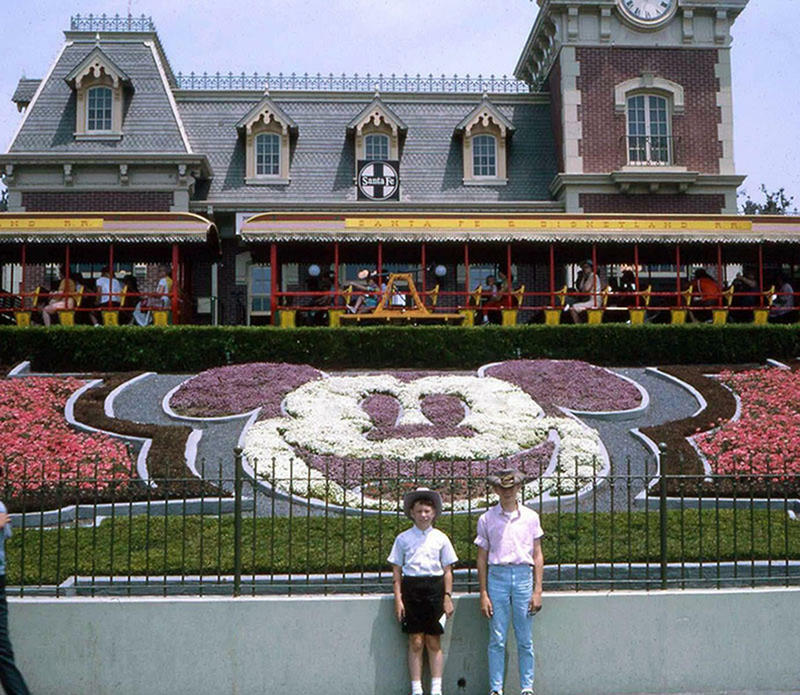 Boys posing in front of the Mickey Mouse flower arrangement, 1965. 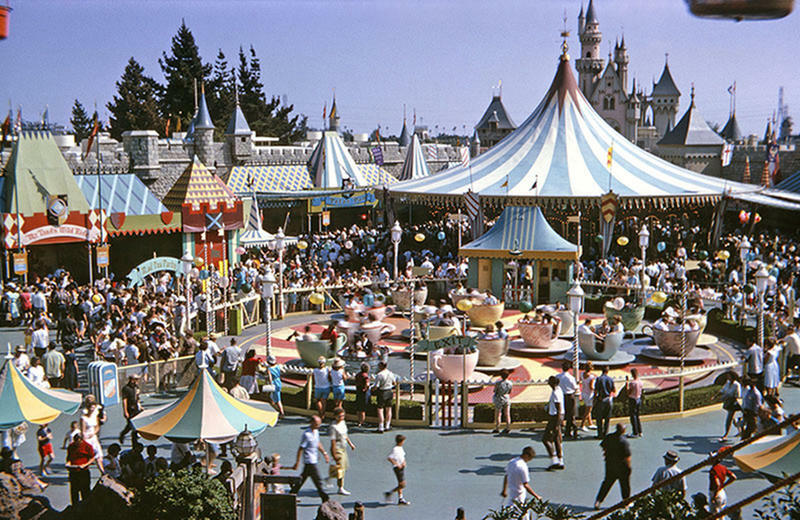 An aerial shot of Fantasyland at Disneyland’s tencennial celebration in 1965. 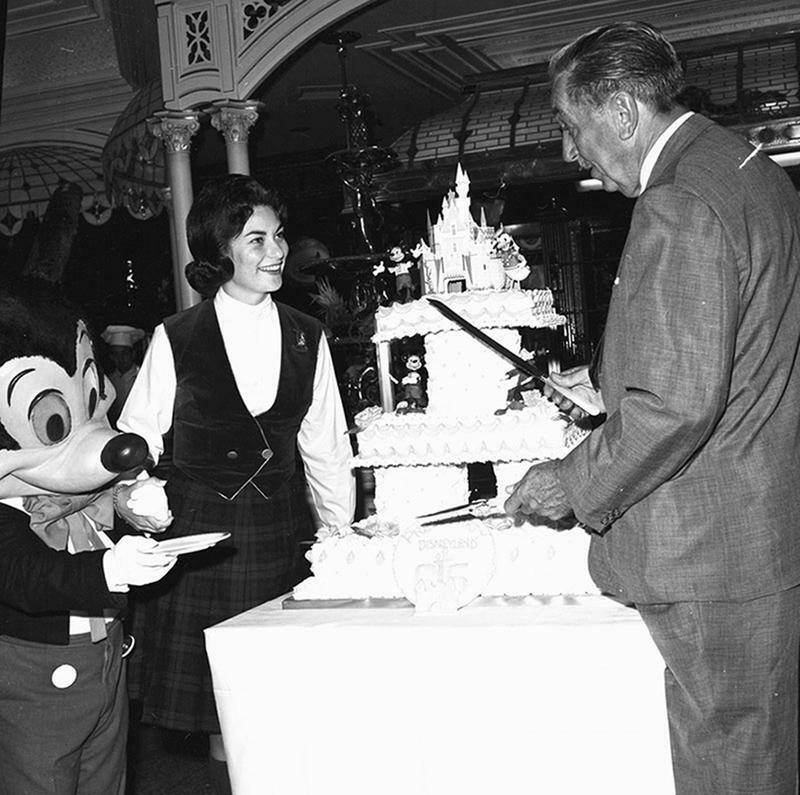 Walt Disney cuts the 10th anniversary Disneyland cake with help from Mickey Mouse and Julie Reihm. 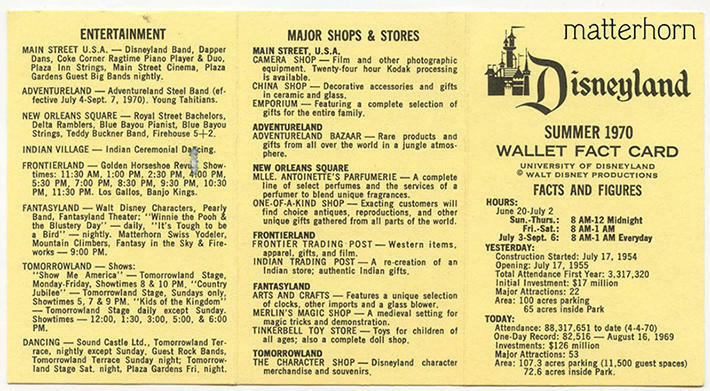 This vintage Disneyland brochure from 1970 explains the various park attractions. 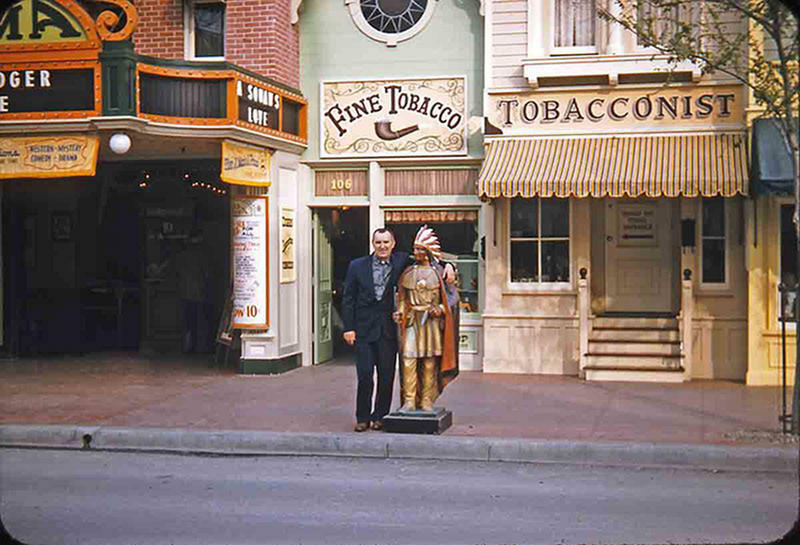 A Disneyland guest in 1957. 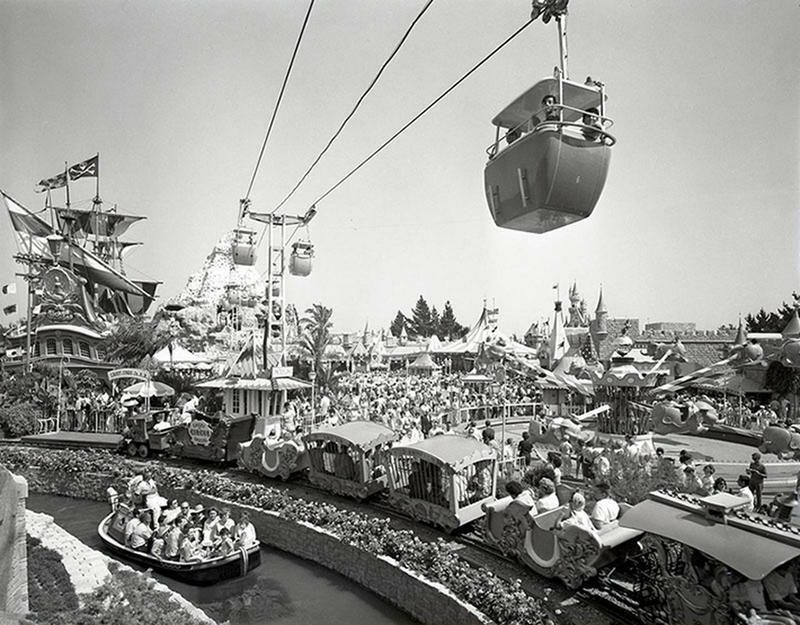 Storybook Canal and the Disneyland Skyway. 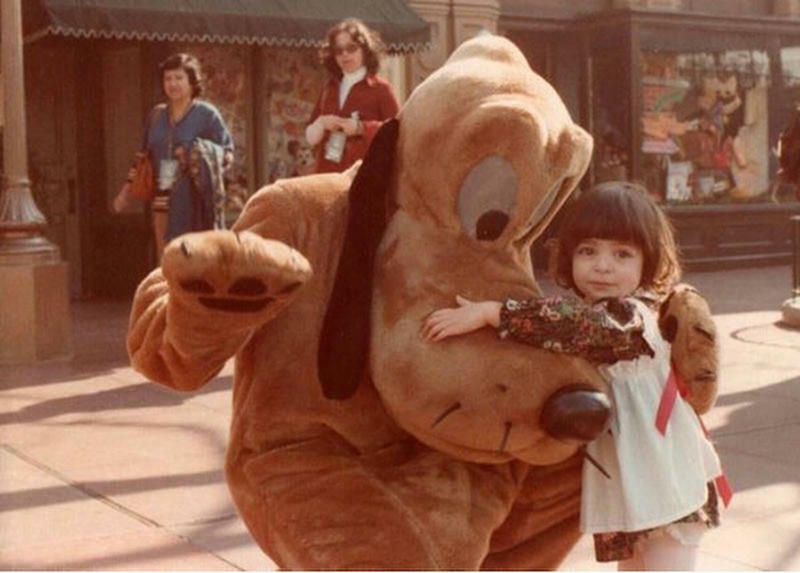 A small girl clings to Pluto in 1977. 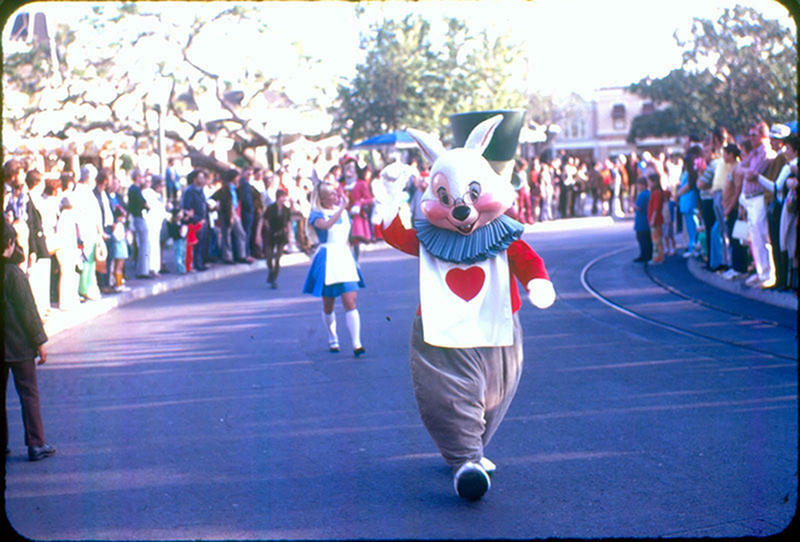 A parade in Disneyland in the 1970s.